Waxes are widely used in cleaning and care products to maintain surfaces, provide gloss and to fulfill hygienic requirements. 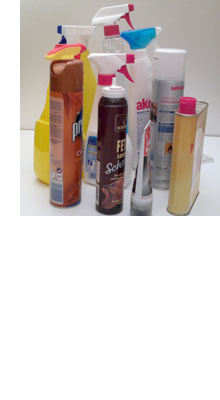 These products are used in living areas, on the outside of buildings, on floors and furniture, as well as for leather care and car polishes. In addition to the different wax components, Tromm has developed special wax blends tailored specifically for the formulation of cleaning and care products and which provide the manufacturer with a simpler working process.